All the exhausts for Honda CB500F 2013-2015. Exhausts There are 17 products. 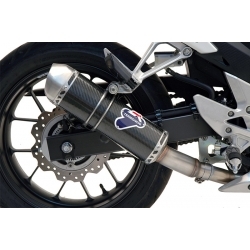 Carbon Termignoni Strada Silencer for CB500F, CB500X, CBR500R. Carbon finition. MIVV slip-on with Italian frabrication for your CB500F, CB500X and CBR500R. Road approved, steel finish with carbon cap, comes with connection to the original manifold. MIVV slip-on with Italian frabrication for your CB500F, CB500X and CBR500R. 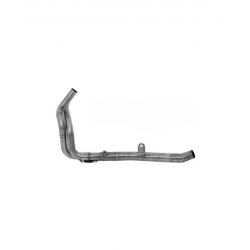 Road approved, steel finish, comes with connection to the original manifold. Arrow Racing collector in stainless steel for CB500F and CBR500R. 43mm junction and oxygen sensor plug. 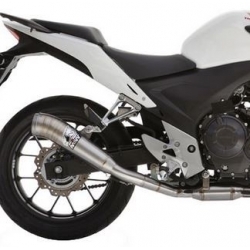 Arrow X-Kone Exhaust for your CB500F, CB500X and CBR500R. Mandatory seal included. 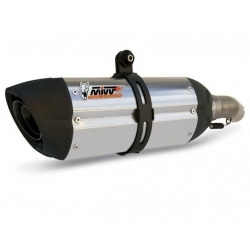 Arrow Race-Tech Titanium Exhaust for your CB500F, CB500X and CBR500R. Choose between the 2 declinations, mandatory seal included. Arrow Race-Tech Carbon Exhaust for your CB500F, CB500X and CBR500R. Choose between the 2 declinations, mandatory seal included.